Category 3 Modular-Telco Patch Panels are available in 24- and 48-port sizes and support 2-wire RJ-11, 4-wire RJ-11, 2-wire RJ-45 and 4-wire RJ-45 USOC wiring schemes. 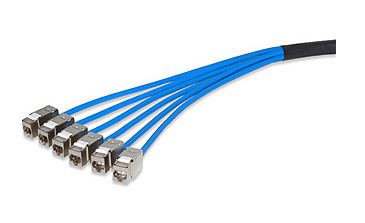 Each 50-position Telco connector is provided with both Velcro strain relief brackets and hex sockets to secure 25-pair cables with either 90-degree or 180-degree cable exit. Panel front features a write-on surface to provide port identification. Panels include an integrated cable management/strain relief system for improved cable routing and strain relief.